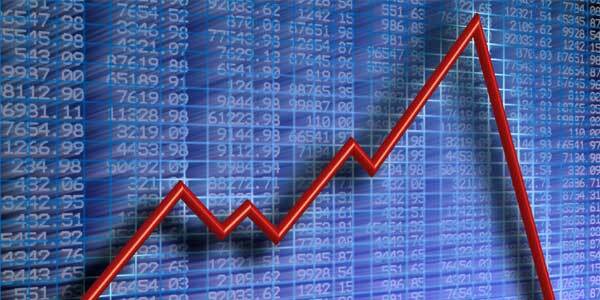 China and Russia have returned to the global equity capital markets, following a lengthy absence. China led in the number of capital raisings using depositary receipts last year, with 14 of the 51 transactions worldwide, according to BNY Mellon. Russia led last year’s ranking in terms of value of DR capital raised, thanks to TCS Group Holdings (parent of Tinkoff Credit Systems), which raised $1.1 billion in the largest issue of 2013. TCS Group’s initial public offering on the London Stock Exchange last October was the biggest IPO from a Russian company since telecom group MegaFon’s $1.8 billion issue in November 2012. China’s return to the DR market follows a long lull caused by accounting irregularities. Investor sentiment toward Chinese firms listing in the US has improved, and additional listings are likely, bankers say. The broadening in the DR capital market last year, with a surge in the number of capital raisings to 51 from 31 transactions in 2012, was more significant than the decline in the total capital raised, which fell to $10.4 billion from $12.7 billion in 2012, they say. There were issues from 20 countries in 2013, up from 12 a year earlier. Chinese technology companies are eager to list on US exchanges, Moro says, although most of these deals are modest in size. Companies in the Asia-Pacific region used DRs to raise more than $4.4 billion in capital last year, nearly three times the 2012 total. In addition to China, Taiwan was active for a second straight year, with six issuers raising more than $2.1 billion. Additionally, there were three issues from South Korea. Although Eastern European equity markets did not keep pace with the rise in Western European markets last year, they still raised nearly $2.8 billion in capital, BNY Mellon says. Russian electronic payment provider QIWI raised $212 million on Nasdaq under the JOBS Act, as well as an additional $287 million in a follow-on offering. Romania’s largest natural gas supplier, Romgaz, came to market with an offshore offering and private placement of DRs that raised $185 million. Latin America had six capital raisings involving DRs last year, totaling $1.4 billion, according to BNY Mellon. They came from companies in Colombia, Peru and Mexico. Altogether, 258 new sponsored and unsponsored DR programs were established in 2013 from 40 countries. South African issuers established the most newly sponsored programs with 10, followed by Taiwanese companies with seven. More than 143 billion DRs valued at nearly $2.6 trillion traded last year, little changed from a year earlier. China’s Baidu, Brazil’s Vale and Petrobras, and the UK’s Vodafone and BP were the most active in terms of value traded. New issues from a number of emerging markets companies in the second half of 2013, as well as a growing deal pipeline, indicate that there could be significant growth in IPOs this year, Bon says. 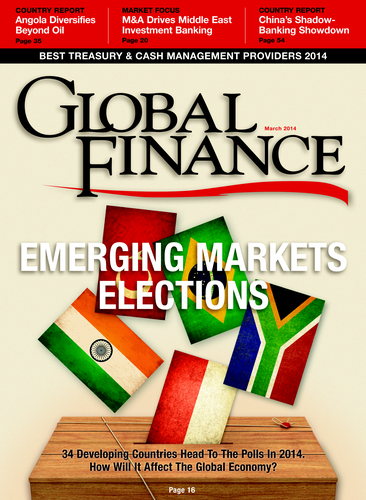 “Emerging markets volatility—if it continues—will affect some markets more than others. Chinese technology-related deals will continue, but Latin America could be impacted,” he says. The Asia-Pacific region will likely be active this year, particularly China, which sprung to life at the end of last year, Lissemore says. Alibaba, China’s largest e-commerce company, is planning an IPO that could value the company at $100 billion, but it remains to be seen what, if any, part of the offering will be in DR form. Financials accounted for 25% of last year’s DR capital raising, followed by communications with 20%, industrials with 14%, and consumer (cyclical) with 12%. 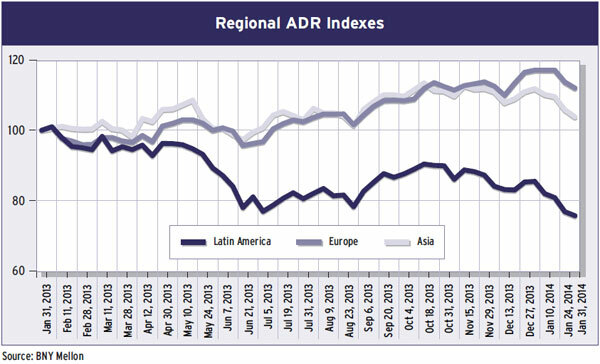 There was strong investor demand for unsponsored ADR programs in 2013, with companies from Japan and the UK the most active, Lissemore says. A total of 1,597 unsponsored DR programs are available to investors, including the 150 new programs started last year. Several new DR programs were established last year to take advantage of the US JOBS Act, Lissemore says. The act allows emerging growth companies that qualify to submit stock-registration statements confidentially and requires limited data on executive compensation. There likely will be more DR programs coming to market this year as a result of the new law, Lissemore says. Edwin Reyes, global head of depositary receipts at Deutsche Bank, says: “Capital raising continued to be challenging for DR issuers last year, but there are three broad trends that may help to increase activity this year.” First, companies are starting to consider Level III US listings. “This is an interesting development, as it means that there may be a reversal of the de-listing trend from US exchanges that followed the implementation of Sarbanes-Oxley in 2002,” Reyes says. Jose Sicilia, head of global equity services at Deutsche Bank, says India may lift restrictions on Level I ADRs, as well as allow capital-raising listings on foreign exchanges without a local listing. At the same time, Brazil’s removal of its tax on ADR issuances is likely to boost that country’s DR trading, he says.